The choice between arm-based and contrast-based network meta-analysis was, until recently, fairly clear. However, a new concept of arm-based network meta-analysis has been proposed, which has led to heated debate of the pros and cons of this new approach. 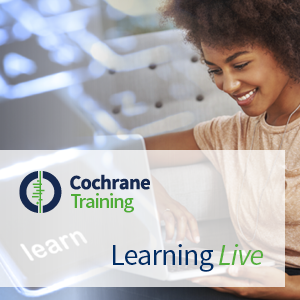 In these videos, originally part of the Cochrane Learning Live webinar series, Professor Ian White (University College London) discusses key issues, strengths and weaknesses of arm-based and contrast-based network meta-analysis. In addition, Dr Emily Karahalios (University of Melbourne) presents preliminary findings from an empirical evaluation comparing the methods. The webinar was delivered in June 2017. Below you find edited videos from the webinar, together with presenters' slides.